The art of using magic and spellcasting for protection is one of the oldest and most widely practiced. Civilizations from around the world have traditions of casting spells for magical protection. From the ancient Icelandic peoples to tribes in Africa, there is a rich history of protection spells from spirits, natural disasters, disease or simply from other people. Some protection spells are incredibly complicated, whereas some are as simple as lighting a candle or gathering certain crystals or herbs. Do you need to protect your home or ward off bad energies from someone in your life? Check out all of the different ways you can make protection spells work for you! Speak to a REAL Spellcaster! 1 Speak to a REAL Spellcaster! 11 Create your own protection spell! If you look back at the ancient peoples of Iceland, you will find incredibly complicated spells. Iceland has a very rich magical tradition, and although this tradition was suppressed by the advancement of the Christian peoples into the region, the use of magic regained popularity Post-Reformation. I don’t think that any of us are planning to go running around looking for raven bile, so how can we cast meaningful protection spells in a common sense way? Crystals and certain minerals carry their own vibrational energy. Some repel and some attract. Not only are they beautiful to look at, but they also have properties from healing powers to energizing and protecting. Crystals have been used by witches in spell casting and as amulets or talisman for centuries. So which crystals and minerals are best for protecting you from unwanted negative energies? There are different kinds of negative energies and the methods of protecting yourself are not always the same. Sometimes we need to repel negative energies, and other times we need to block or cloak ourselves from it. Check our Krista Mitchell’s blog about the powers of crystals if you want to dig in more, but here is a short list of the best crystals for casting protections spells. You can use any of these in your spell casting to supercharge the power of your spell, or you can simply wear them as jewelry for some general energetic benefit. Black tourmaline is a great all-purpose stone for use in protection spells. You can imagine its powers as an electrical force field around your aura. Lower, harmful frequencies will be repelled. However, if you need something to ward of intentional bad energies, such as hexes or curses, you will need something stronger. If you need something stronger for use in your protection spell casting, go with black obsidian. This stone is a banishment stone and can be used to break curses, hexes, spirit attachments and more. It would be a good idea to charge the stone’s power with a protection spell and then to wear it as an amulet until the situation has resolved itself. Cast your spell on the dark or waning moon to make the banishing powers most potent. Another wonderful stone for protection is blue kyanite. This stone is excellent if you are the subject of manipulation, coercion, bullying or lying. It will help you to keep your head free and clear of unwanted and negative thoughts and feelings. It will also help you to ‘read between the lines’ and see clearly what is really being communicated. Essential oils can be used on the body and to anoint candles, amulets, and talisman. There are essential oils for any condition or necessity, from relaxation, to warding off evil spirits. You can use a base oil or carrier oil and simply add a few drops of the essential oil to it, or you can add a few drops of essential oil to pure, spring water to create a scented mist in any personal spray bottle. Just remember to shake it before spraying because oil and water naturally separate! Here is a recipe for a magical protection oil that will shield you from psychic or magical attacks. You can use it on your body or around your home or car – wherever it is needed! Measure out 1/8 Cup base oil of your choice. The mixing of these oils is a ritual in and of itself, so focus your intentions into the potion as you make it. Visualize the thing that you want to protect yourself from and then imagine a bright, white light around you. Visualize the potion creating a magical shield around you and your home. Imbue it with protective energy and power. You can also use the phases of the moon to supercharge your protection oil. Prepare the mixture under the full moon to amplify the powers of the potion, or mix the potion under the waning or dark moon if you want to use it for banishing effects. There are many kinds of magical herbs and plants that can provide protection! You can make a protective potion using herbs, especially if you do not have access to prepared essential oils. Many magical herbs are available in your local grocery store, or maybe you already have them in your kitchen or garden! Basil (Ocimum basilicum) Basil is a very common herb that has powers of prosperity, peace, protection, and purification. It is readily available in most grocery stores, especially in dried form. It is also known as sweet basil or St. Joseph’s Wort. Not only is it great on pizza, but it will add wonderful magic to any potion! Caraway (Carum carvi) Caraway seeds will provide you strong protection against negativity. It also carries anti-theft properties, so you can place sachets of it in your garden or home to keep intruders out – whether the animal, human or spiritual kind! Carraway is also associated with health, mental abilities and fidelity. Sage is probably the most well-known and widely used herb for protection and purification. You can find dried sage in a smudge stick and cleanse your home, paying special attention to all doorways and windows. Or you can buy it fresh in the produce isle and make a tea infusion or dry it yourself for burning. Clove (Syzygium aromaticum) Cloves are another very common and powerful herb. They are wonderful for making mulled wine or spiced cider, but they also have magical properties of protection, purification, mental ability, and healing. Here is a simple and wonderful recipe for a protective sachet that you can hang above your door to keep negativity away and protect your home. Tie the following ingredients together in a small bag and tie it shut with a red ribbon. If you want to cast a protection spell, you can use all of the previous herbs, oils, and crystals to lend your spell more power. Especially when moving into a new house, it is a good idea to thoroughly cleanse the space from the energies of previous owners, tenants or workers. Or if there has been an illness in the home, it is important to rid the house of those negative energies, not just the viruses! Or perhaps you had a bothersome roommate that finally moved out. Go ahead and cleanse the space so that you can make a fresh start! Sometimes, even if you have had lots of friends in the home whose company you enjoy and welcome, the house can still get cluttered with psychic and spiritual energy. It is a good idea to do your spiritual housekeeping along with all of the other upkeep. You can perform this spell at sunrise so that the cleansing energy of the sun will clear up the space around you. This house protection spell is from the website Wiccan Spells. It is a Wiccan spell which is a white magic spell. Clean and tidy your home as you normally would the evening before you perform the spell. This spell is best performed free of clutter and chaos, so preparing the day before will allow you to wake and perform the spell at the sunrise. Place the jars in the four directions of your home (North, South, East and West), outside in the garden if possible, or in a window, if you can. Enjoy the fresh new energy in your home and sanctify it by doing something you enjoy, such as meditating, singing or sipping a cup of tea. Maybe you need something more powerful? Voodoo protection spells are very powerful magic and have a rich history. Voodoo originated during the slave trade as West African shamanistic practices melded with Western Christian traditions. There are different branches of voodoo, from Louisiana to Cuban. Voodoo is a religion, whereas Hoodoo is the folk magic practice that came from West Africa and melded with Christianity to form the Voodoo religion. This spell is from “The Voodoo Hoodoo Spellbook,” Copyright © 2009 Denise Alvarado, All rights reserved. Timing: cast your spell on a Tuesday or a Thursday under a waxing or full moon for the most power. Colors: use white and yellow for purity and blessings and red for inner power and the ability to stand up for yourself. Create as a spiritual barrier by making a magical oil of the listed ingredients. Be sure to focus on your intention while you are mixing the ingredients. Add the essential oils to a carrier oil like almond oil. You can anoint doorways, windowsills, and doorknobs. You can also create a sachet and carry it with you. Create your own protection spell! You can also create your own protection spell! Magic is most potent when you follow your own intuition, so as long as you educate yourself and take great care and attention, you can write your own spells. Set your intention: Begin by setting your goal. What is your intention? Write your spell: Next write down the spell. It can be short and to the point or long and poetic. What matters is the intention behind it and the honesty. Gather supplies: take the time to collect all of your magical supplies. Whether you will be using colored candles, crystals herbs or oils, be sure to have everything at hand before you begin. Time your spell: choose a time where you won’t be disturbed and use the power of the moon properly. If this is all a bit too much work, you can always find a professional to cast a protection spell for you. 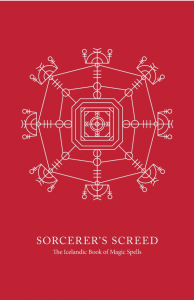 The spellcasters at Kasamba, Keen, and Oranum are professionals who can craft the perfect spell for you for your exact needs. And at all of our trusted partner sites, you can get great introductory offers that won’t break the bank – or even free services. Have you had help casting a Protection spell from one of our spellcasters? If so, please comment on your experiences below!